Ensure the caravan or building is evacuated. Call the fire brigade. The nearest telephone is _____. If practicable, attack the fire. 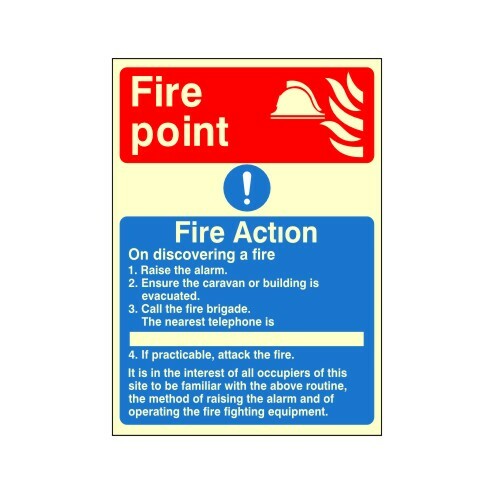 It is in the interest of all occupiers of this site to be familiar with the above routine, the method of raising the alarm and of operating the fire equipment.